The "c" in Sage 200c actually means Connected. The first release of Sage 200c introduces new connected services with Bank Feeds. Subsequent releases will introduce Microsoft Integration Services. We have seen a few versions along the way where the overall feature pack may have been quite limited. Not so for this new Sage 200 version. Most of the new features have come directly from customer feedback and so we think it will go down a treat with existing customers. Secure, rich, high quality and timely bank data flows directly into Sage 200c. This is a brand new module designed for quick and easy web requisition entry, authorisation and order generation. It is no longer necessary to go through a Sales Order Processing routine to get a simple invoice out to a customer. Very handy, particularly for service industries or companies with no despatch process. Installations and upgrades are now more efficient with the introduction of "Click Once" technology. So, there are two different flavours of the product. Standard is a more simplistic version and includes only basic modules (Financials, Payments, Business Intelligence, Connected User and Commercials Suite), while Professional is the whole shebang. Available modules include: Financials, Payments, Business Intelligence, Connected User, Commercials, Excel Reporting, Project Accounting, Bill of Materials, Sales, Marketing and Service (formerly CRM) and Manufacturing. I am a big fan of offering choices to customers. If your requirements are more basic, then you can always start with the Standard offering and upgrade to Professional as you grow. It's a super product release. I particularly like the new Purchase Requisitions module, the new Fast Invoice Entry module and the Rapid Purchase Invoice entry. This comes with some useful function keys such as F2 changes the exchange rate, F4 selects from a drop-down list and selects check boxes, plus a few more. Check out our next blog with our FAQ segment. Particularly useful for existing Sage 200 customers. 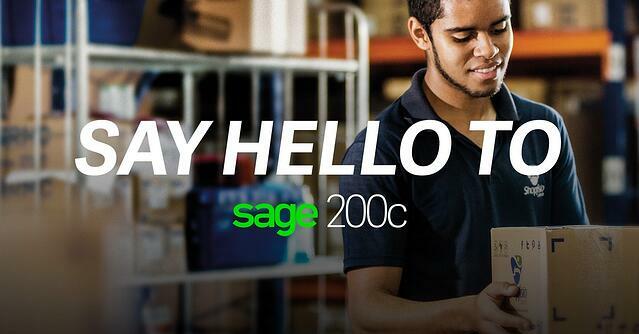 If you would like to register for our Sage 200c webinar on 11th of October, just click below. Keep an eye out for our upcoming Autumn webinar series. Updates will be posted on the blog and on our events page on our website.